I still don’t know what happens at a womping starfish party, even though I now know what a womping starfish is. Posted in Dreams and tagged dream, party, starfish, womping starfish. Bookmark the permalink. I would love to go to a fancy dress party where this is what people come up with! 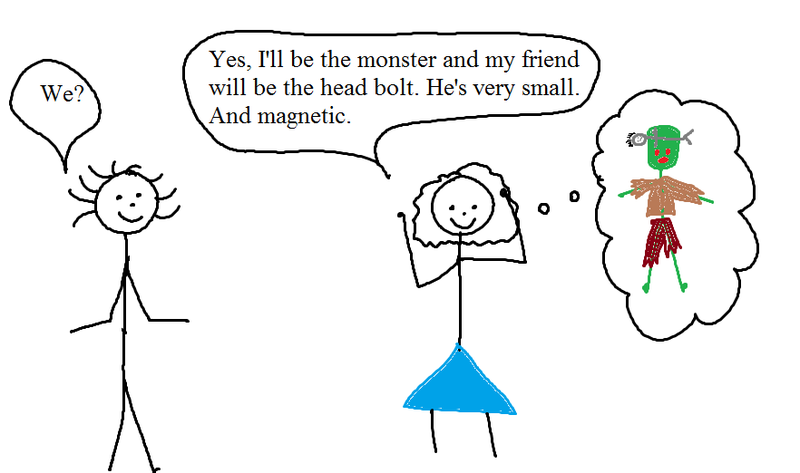 And, I’d love to have a small and magnetic friend. 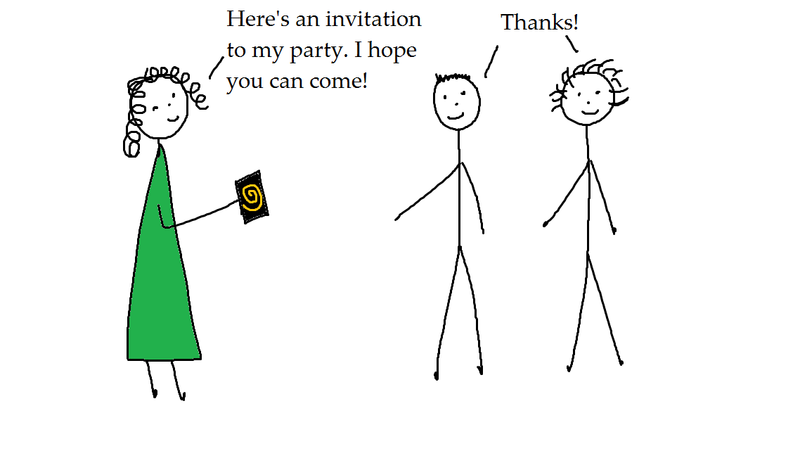 Also, how does his magnetism help him stick to her head? 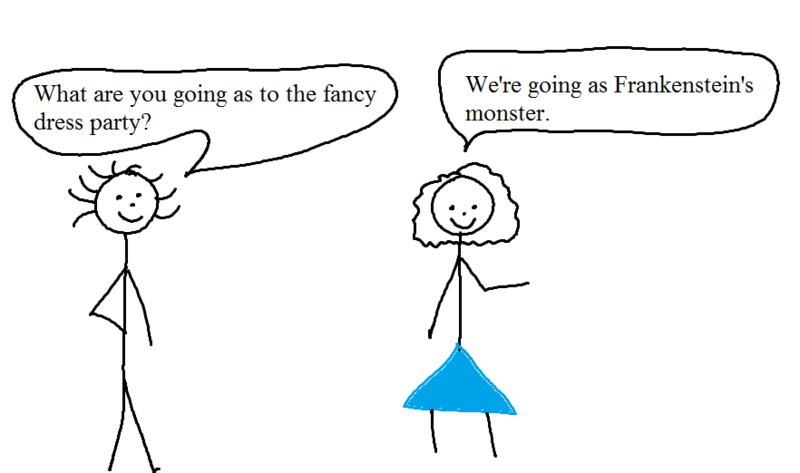 Posted in Dreams and tagged dream, fancy dress, Frankenstein's monster, friend, party. Bookmark the permalink. Strange to be invited to a party where we had to dress up as space ships, when I’d just been in a space ship dressed as a rock! 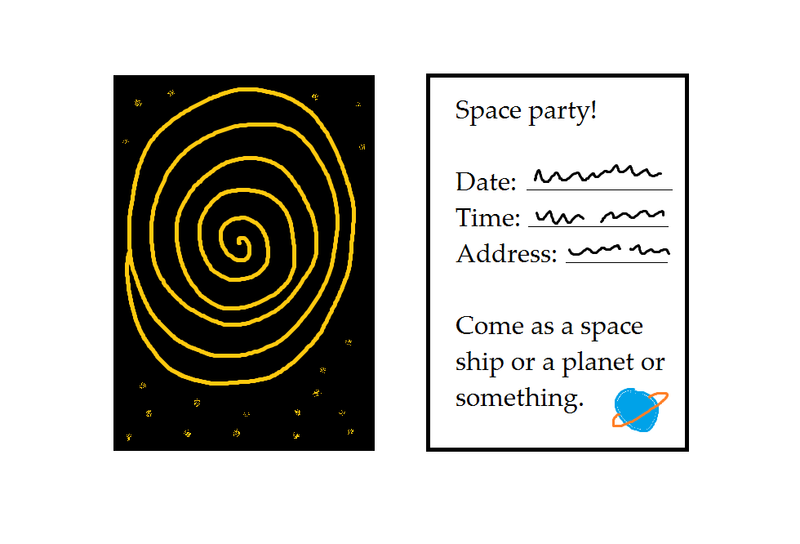 Posted in Space and tagged dream, invitation, party, planet, Space, space ship. Bookmark the permalink.